Photo taken by Iphone. 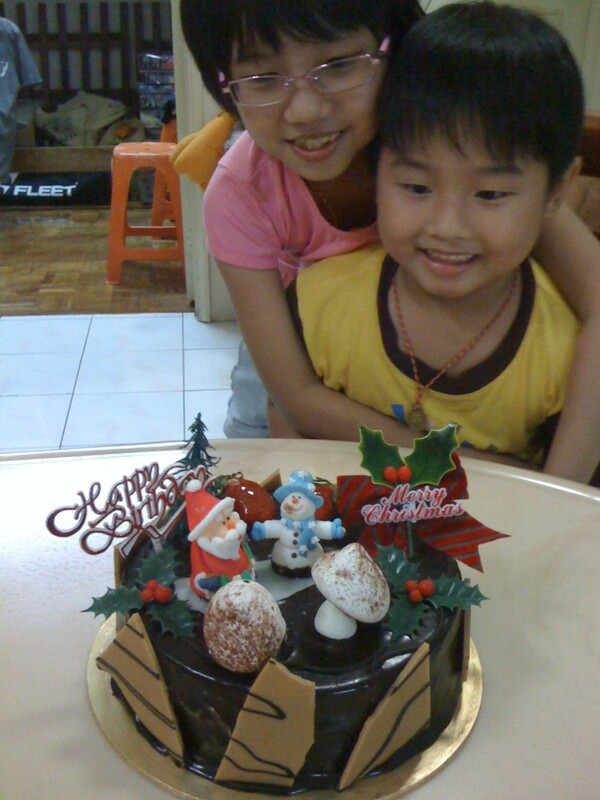 Happy Birthday and Merry Xmas to Benjamin and his sister, Amanda. It was his 6th years old birthday. A few more days from now, he will be entering primary school. Cant imagine time really fly. He used to be a cute little baby who I carry him to bed every night. Same like his elder sister Amanda who will be entering standard four class next year. Am I getting old? Do I spend enough time with both of them? I will be shooting wedding even tomorrow during Christmas… hmm, daddy promise you, I will do my best to spend more time with both of you.. this is my year 2010 resolution. Wish both of you have a wonderful and healthy life… from your daddy..